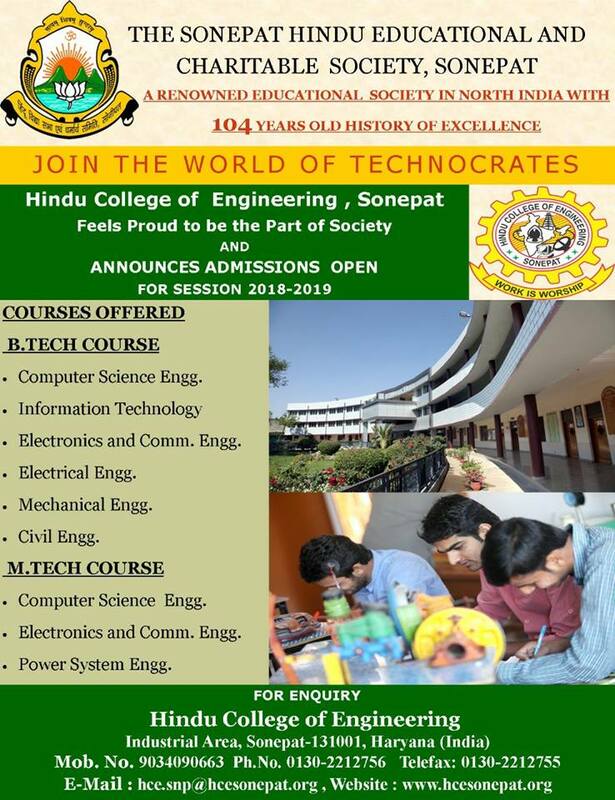 Hindu College of Engineering is located very near (within 1 Km) to Sonepat Railway Station. 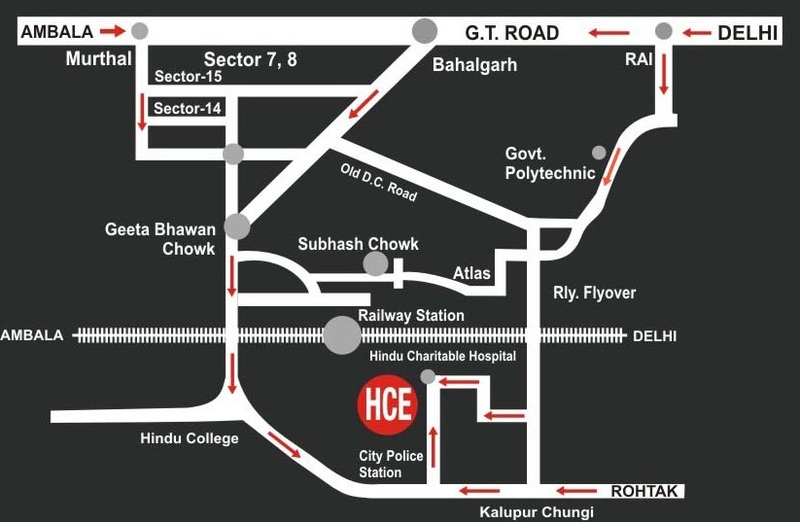 It is located in Industrial Area, Sonepat. The main advantage is that it is well situated in the heart of the City. Cygnus J K Hindu Charitable Hospital, a very renowned Hospital in the city is also located adjacent to it. By Train : Trains for Sonepat are available from all major railway stations like New Delhi, Old Delhi, Chandigarh, Ambala, Karnal, Panipat, Gohana etc. By Bus : Buses for Sonepat are available from all major bus terminals like ISBT, New Delhi, Old Delhi, Chandigarh, Ambala, Karnal, Panipat, Gohana, Rohtak, Jhajjar, Kharkhoda, Meerut, Badaut, Bagpat, Shamli etc.